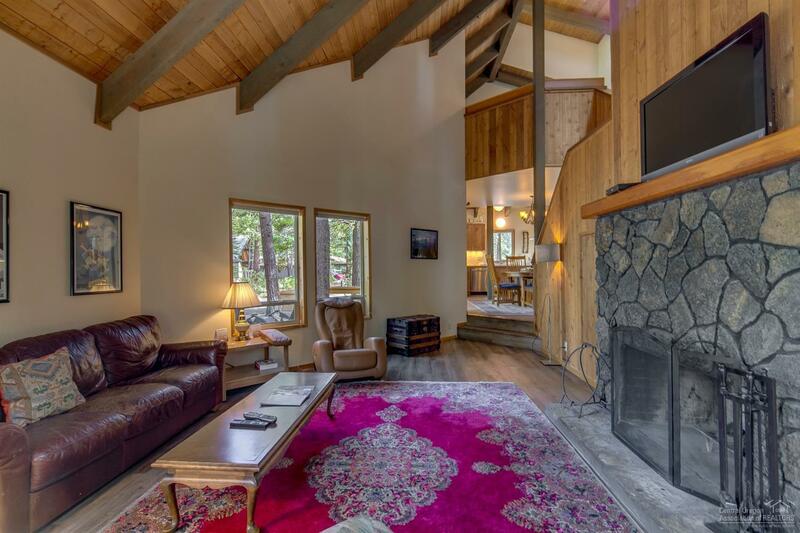 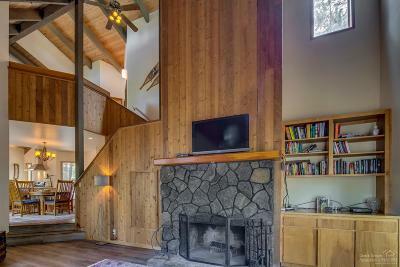 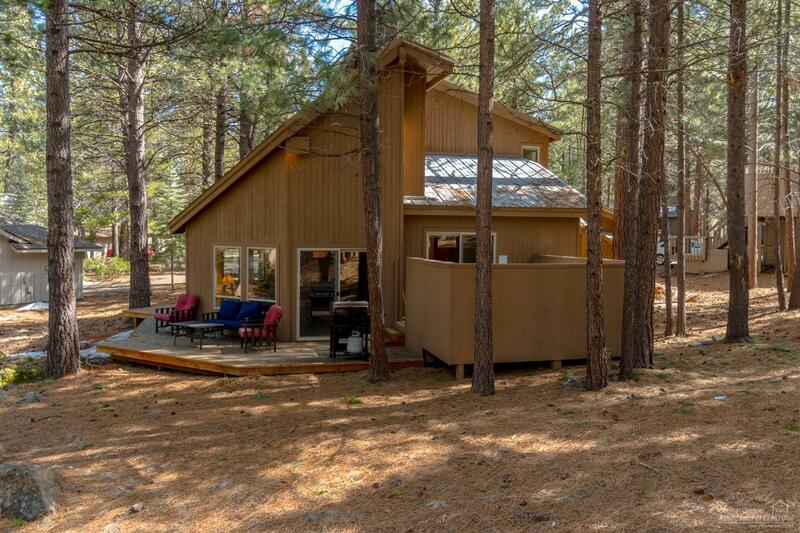 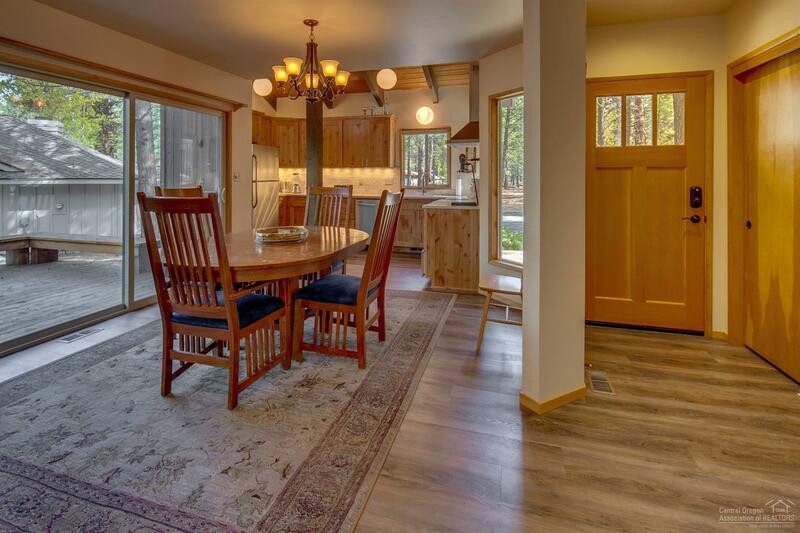 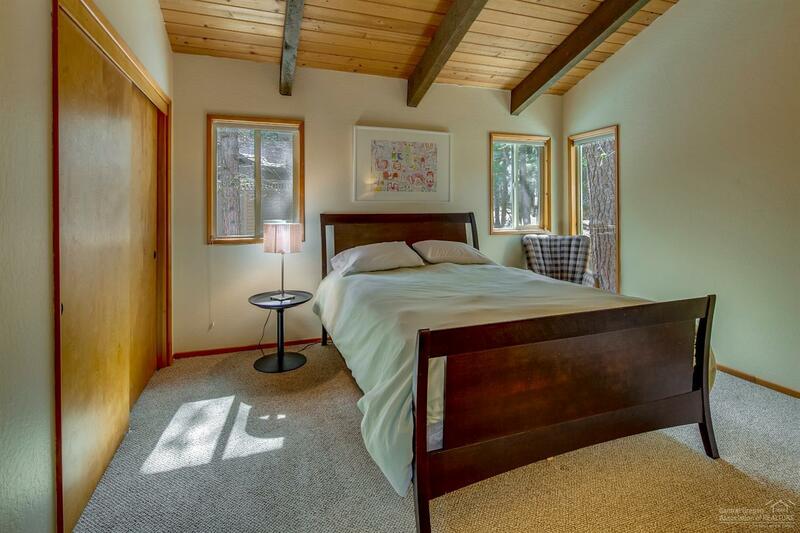 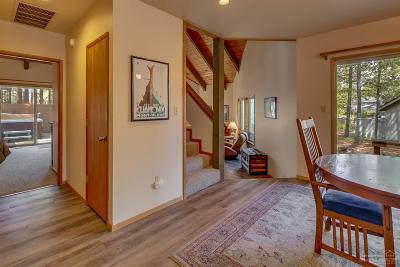 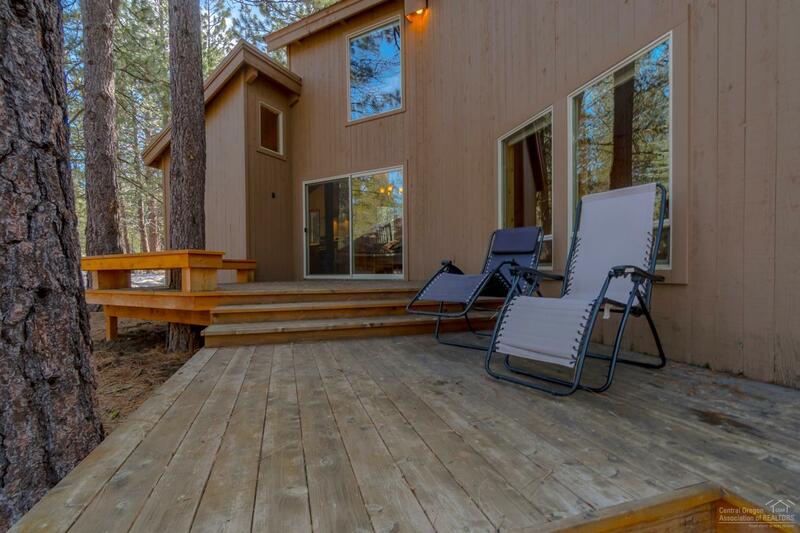 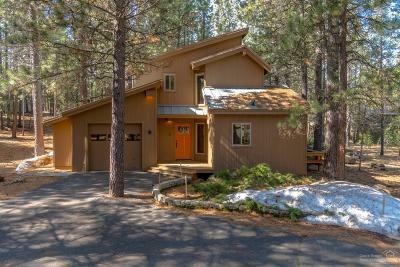 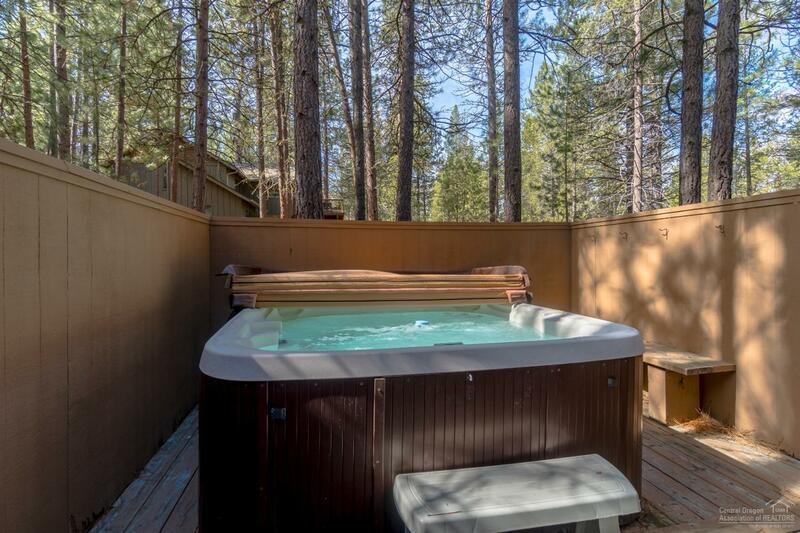 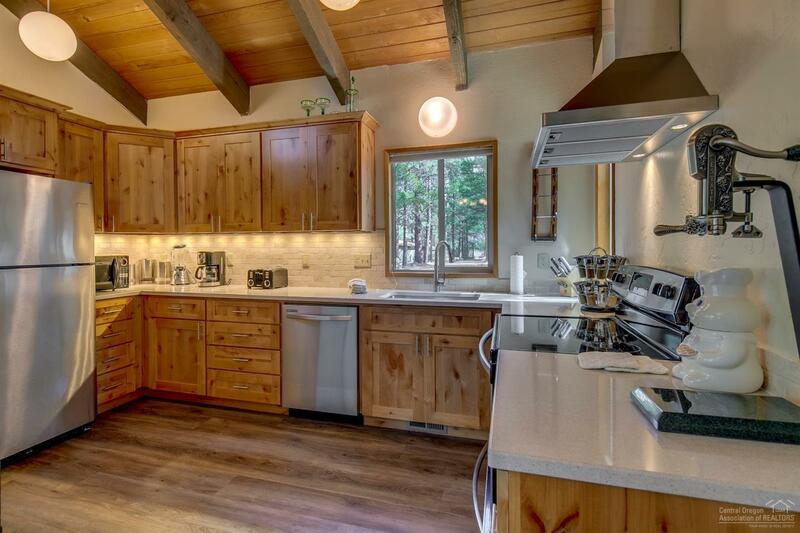 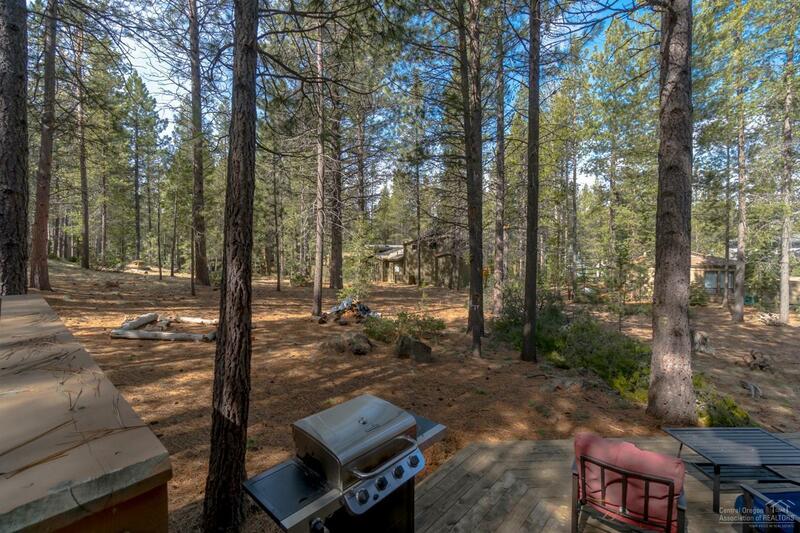 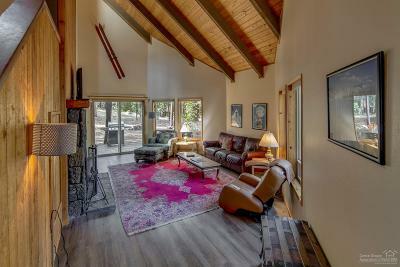 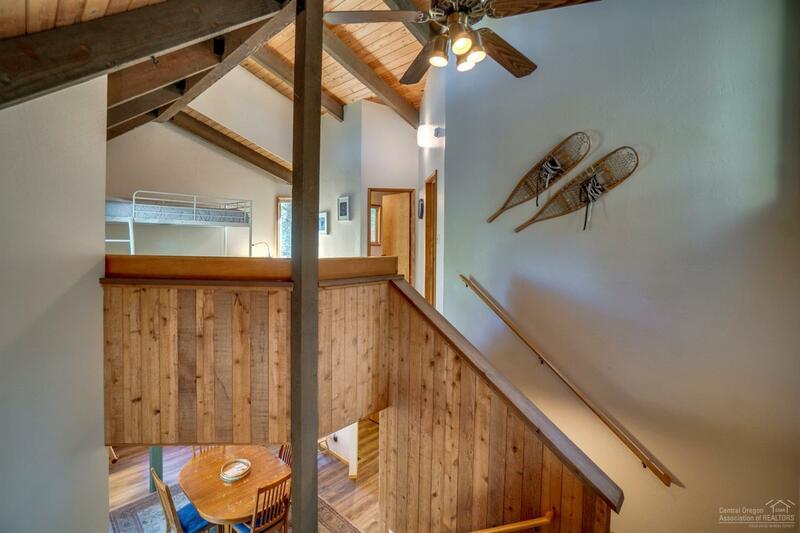 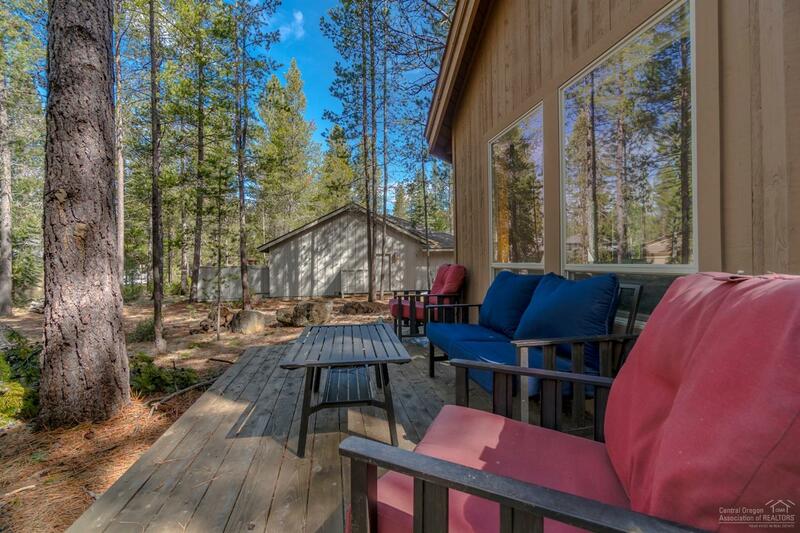 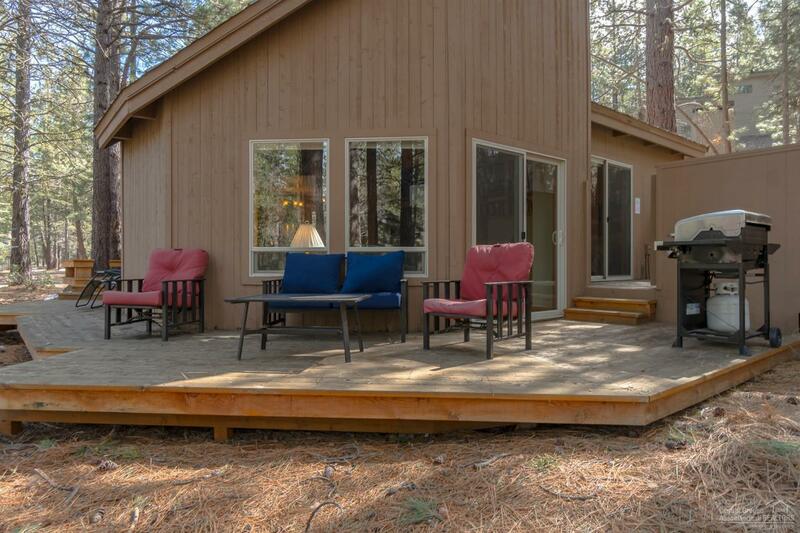 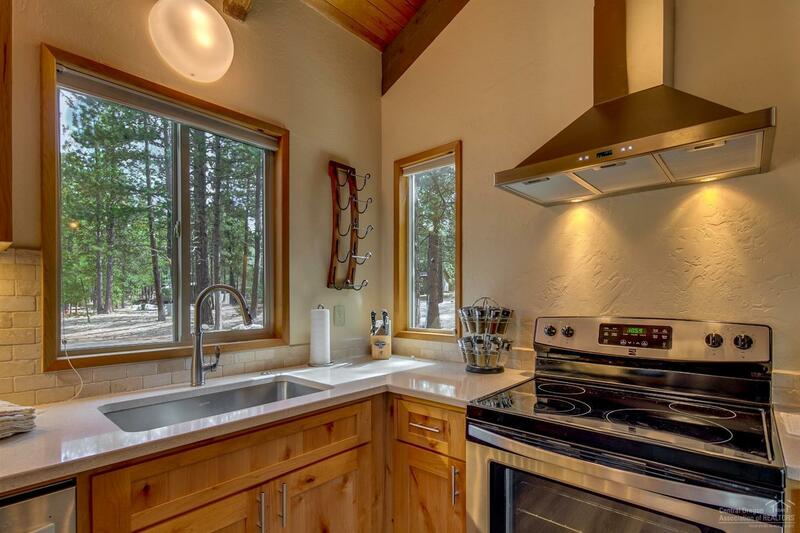 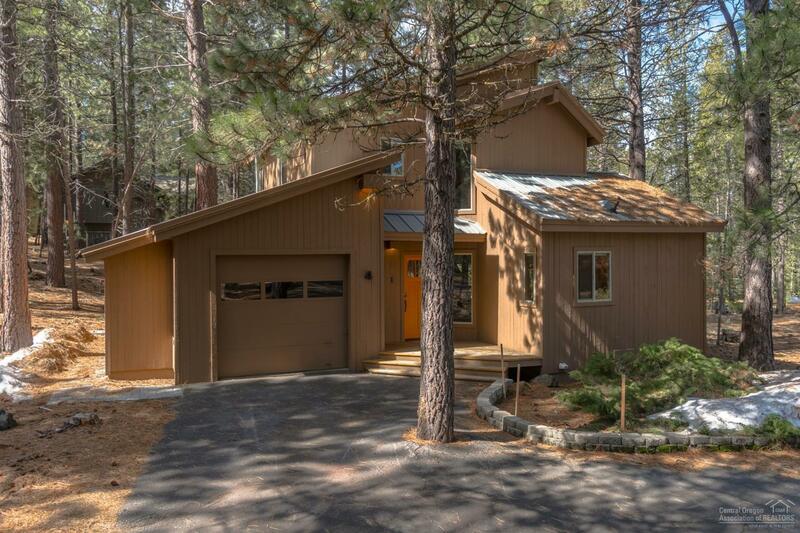 Great opportunity to own a vacation home in Sunriver that is just a short walk to the SHARC. 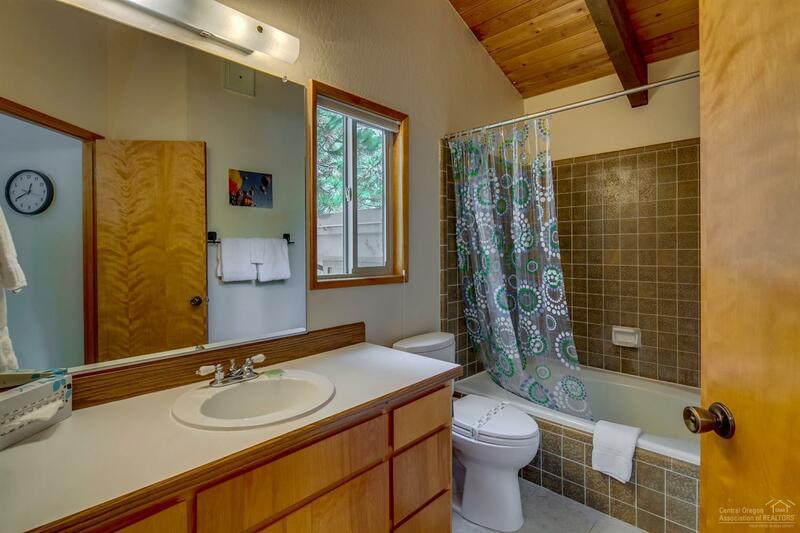 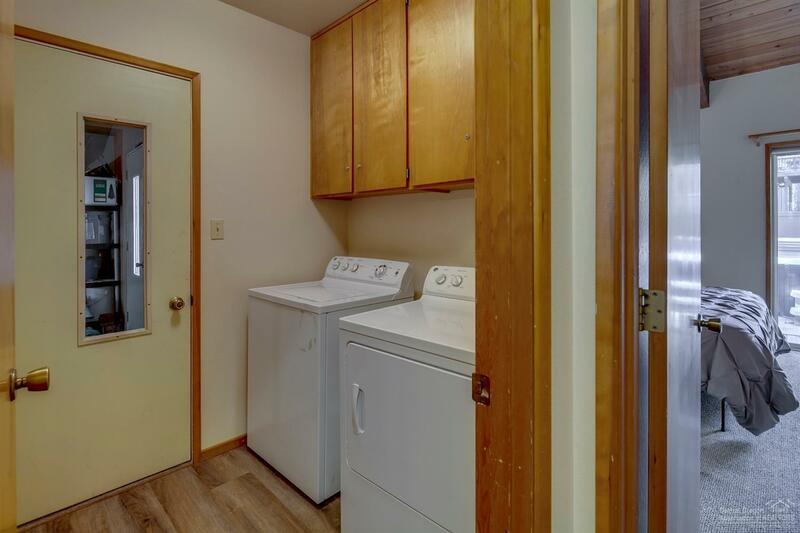 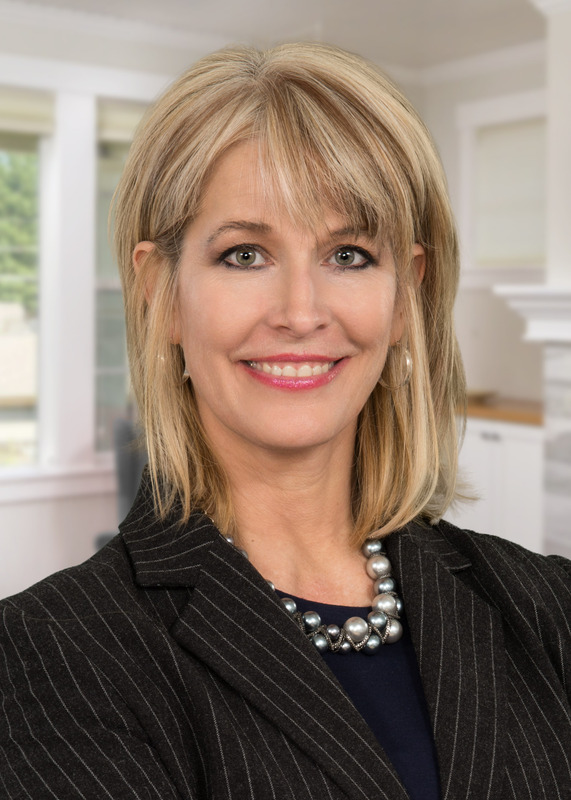 Property has been updated with new floors, complete new kitchen and bath. 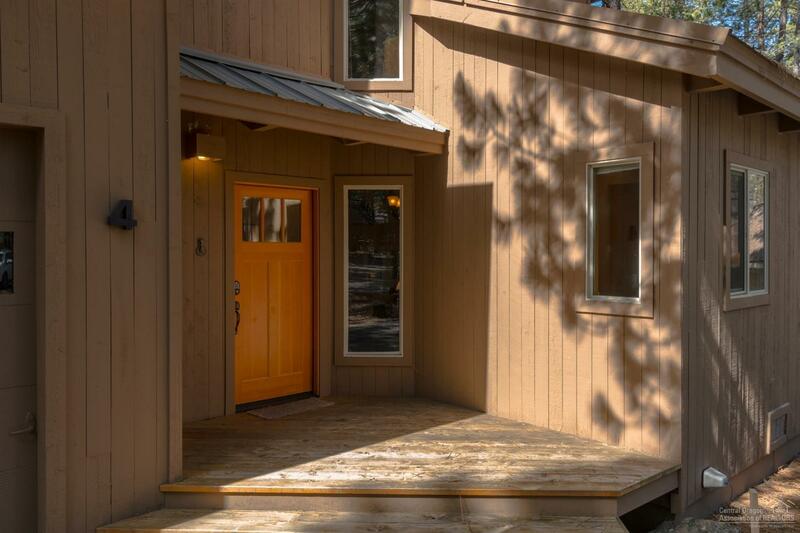 Two sliding glass doors opening on each end of the home with a great wrap around porch connecting the two. 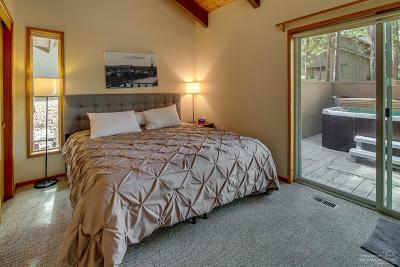 Room for great parties on the patio and views of the common area. 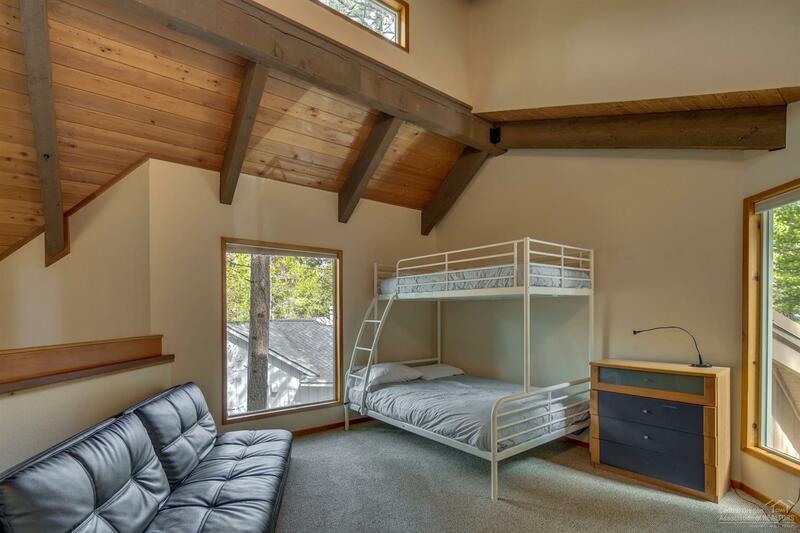 There is a bedroom / full bath down stairs and a full bedroom, full bath and large loft sleeping area upstairs. 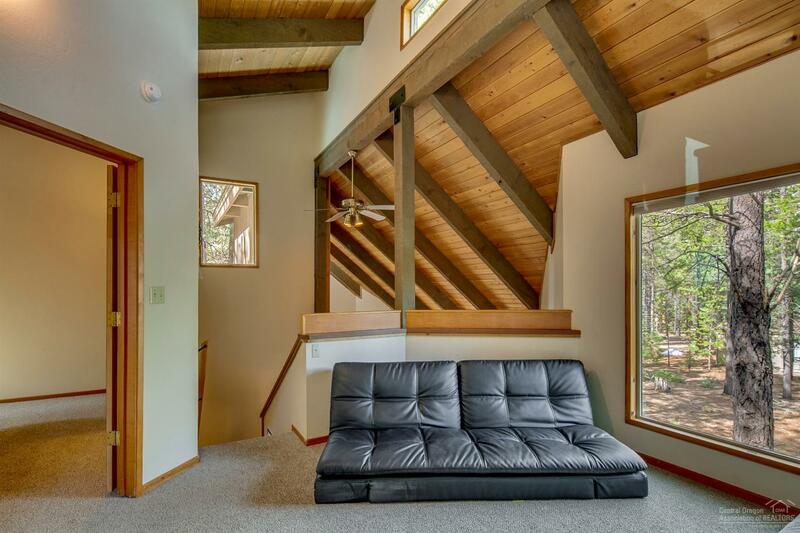 The upstairs overlooks the great room. 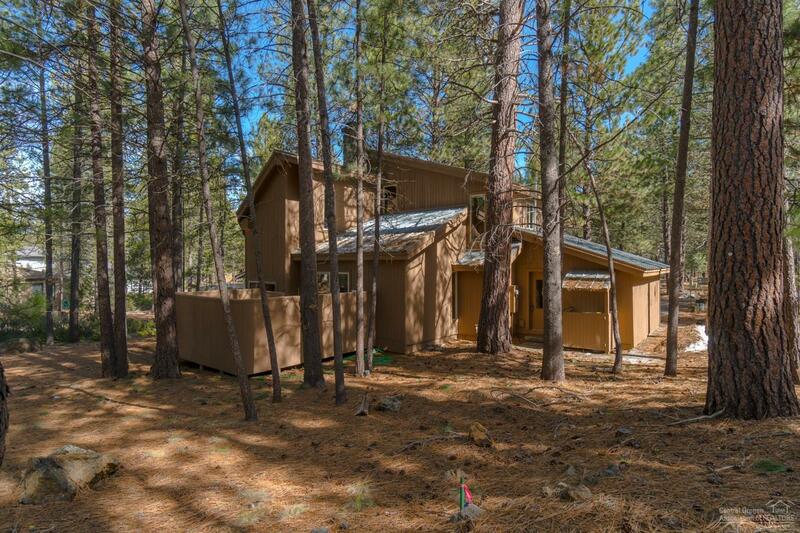 You will enjoy the open beams and Sunriver style wood ceilings in every room Attached garage with additional storage area for bikes and toys. Sold Turnkey.